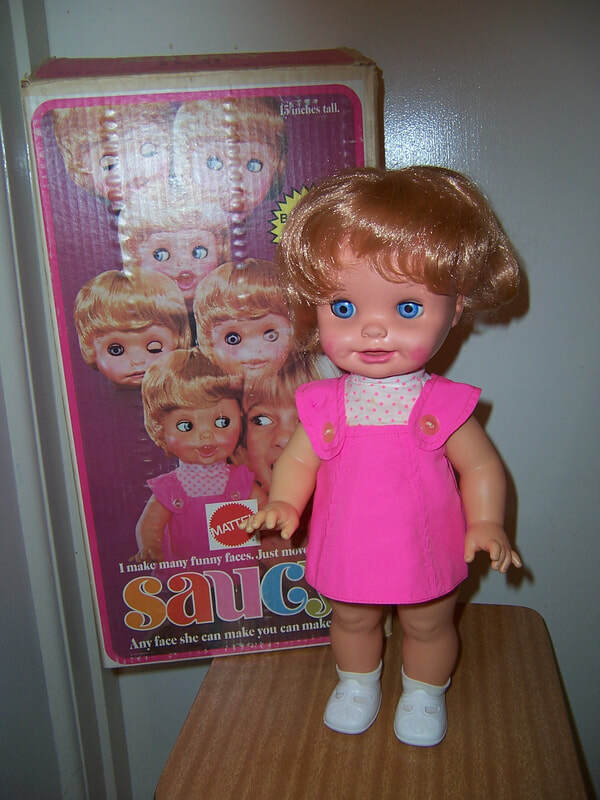 This is a rare vintage 1973 Mattel Saucy funny faces expressions doll in original box and in original outfit. She measures 15'' (38cm) tall, and is jointed at the neck, arms and legs. She requires no batteries to make her work. All you have to do is move her left arm and she makes all sorts of funny expressions with her face and her eyes. She has rooted blonde hair, open pink mouth showing teeth, and blue eyes with original eyelashes. Her box is in quite good condition, and graphics quite bright. A lovely rare doll of the 1970's.